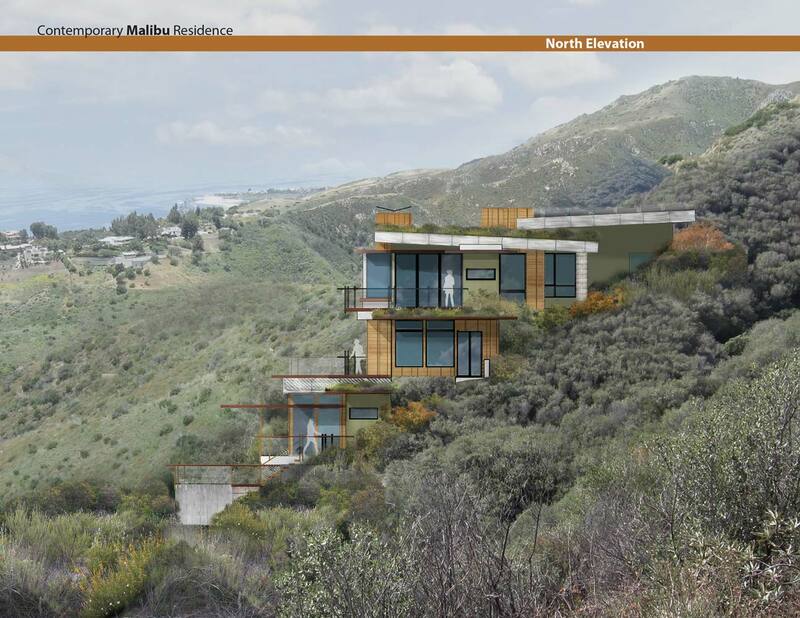 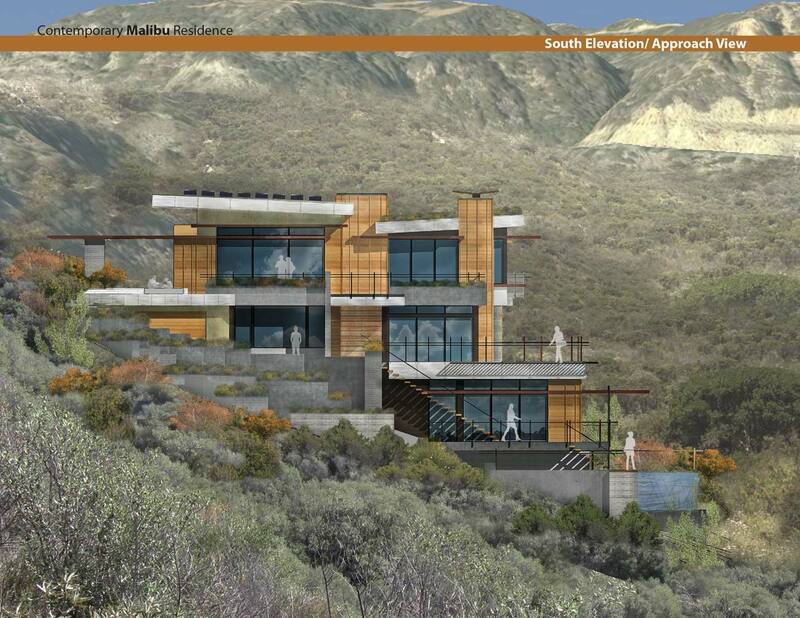 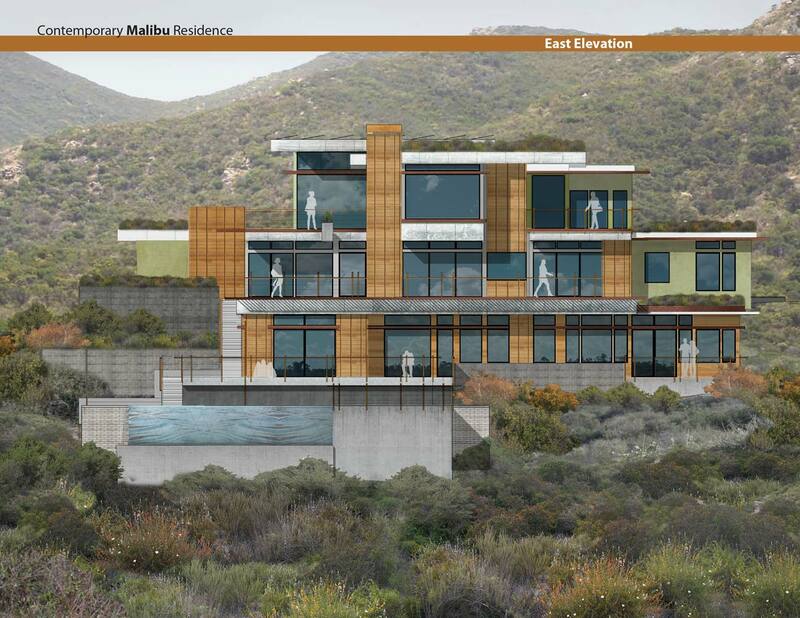 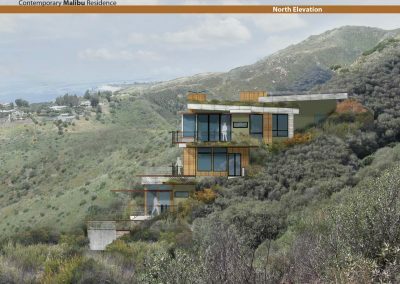 ENVIRONMENT: This 9.96 acre vacant site is nestled in the foothills of the Santa Monica Mountains in unincorporated Los Angeles County overlooking the City of Malibu. The site features stunning 180 degree views of the Pacific Ocean. 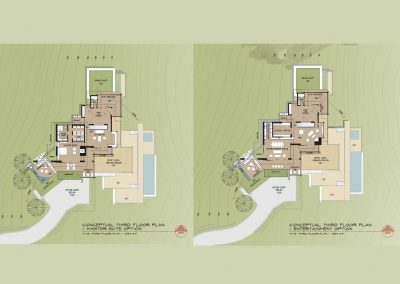 FLOOR PLANS: The second floor plan is entry level of the residence. 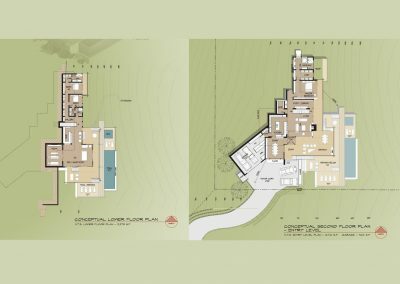 It contains the formal front entry from the motor court & an open plan layout ideal for both family lifestyle & entertaining. 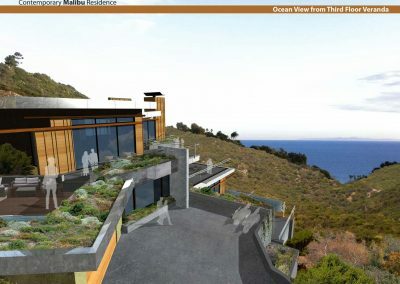 The main space opens up on two sides to the extensive veranda with expansive views . 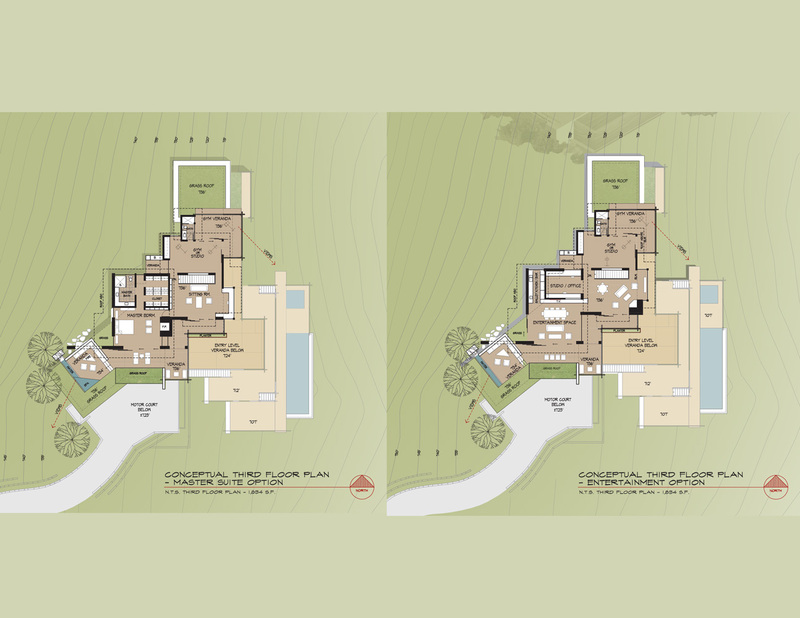 This floor also has the primary master suite with similar views over the surrounding landscape. 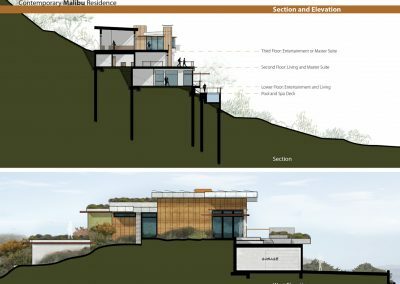 The lower floor plan is built into the hillside creating a wonderful environment where the inside spaces are blended with the outside functions. 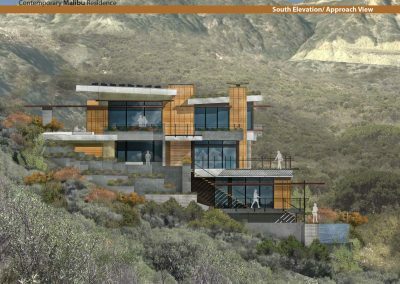 The main space opens onto a large veranda which is slightly elevated above & overlooks the pool & spa deck as well as the naturally vegetated hillside & canyon within the property boundary. From this floor a short walk along the wilderness trail leads to a flat pad area that could be used as a play field or natural meadow. 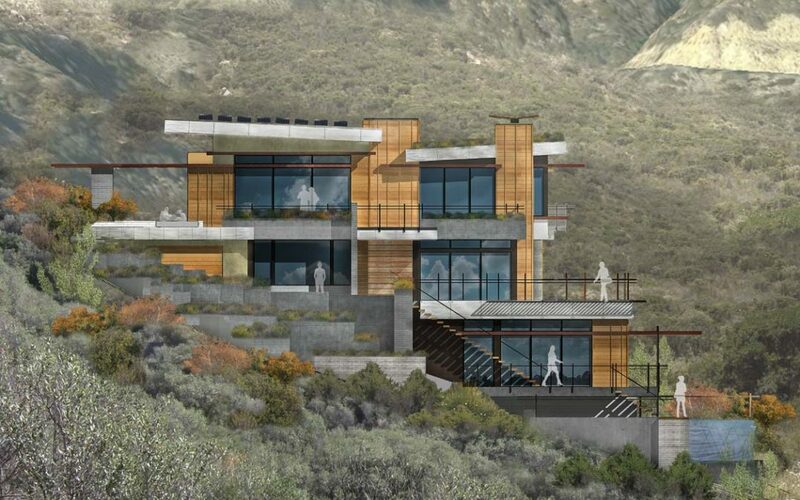 ARCHITECTURE: Conceptual design for a custom single family residence that utilizes the many naturally occurring features of the site in a sustainable & sensitive manner. 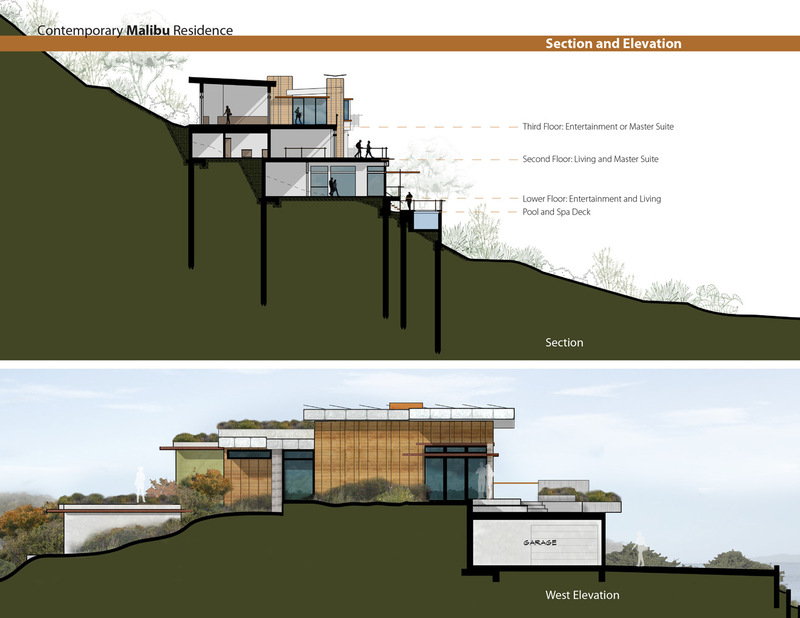 The residence is designed to be both adaptable, energy efficient & sensitive to its surroundings. 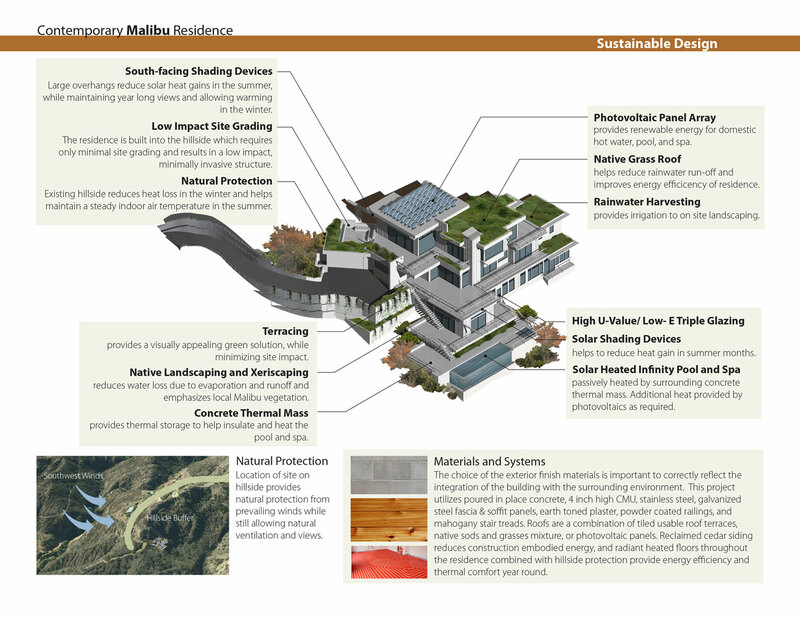 Sustainable design concepts are used throughout the design including balance cut & fill, no grading, day lighting, solar power, low impact construction and native landscaping. 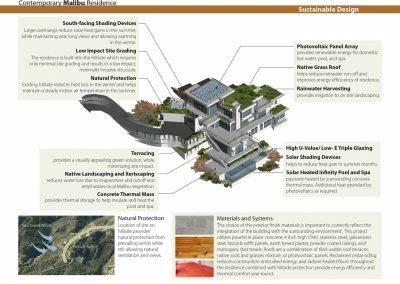 MATERIALS: The choice of the exterior finish materials is important to correctly reflect the integration of the building with the surrounding environment. 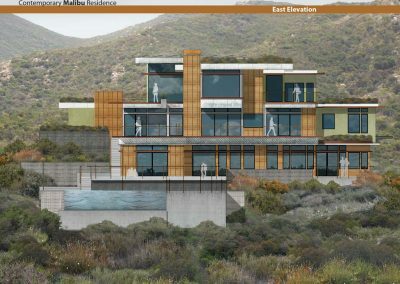 This project utilizes poured in place concrete, 4 inch high concrete masonry units, stainless steel & galvanized steel fascia & soffit panels, earth toned plaster, western red cedar siding, powder coated railings & mahogany stair treads.